Next-Gen entrepreneurs are turning investors in start-ups with a spirit to give back. Snapdeal CEO Kunal Bahl is among the people, whom, Atit Jain, 27, updates regularly about the progress of his start-up, Gigstart, a marketplace for services. A few months ago, Jain could not find anyone to introduce him to Bahl. He sent a LinkedIn invite with a meeting request. "We were looking for advice, rather than money, for our half-baked tech product. Money, of course, was important," says Jain. Bahl replied and met him in May, 2014, just a day after Snapdeal announced the raising of $100 million at a billion-dollar valuation. In December 2014, Bahl and Snapdeal co-founder Rohit Bansal participated as angels and led a $210,000 funding round for Gigstart. Apart from Gigstart, the duo has invested in over half a dozen start-ups, such as apparel firm Bewakoof, travel-planning start-up Routofy, and TinyOwl, a food delivery platform. 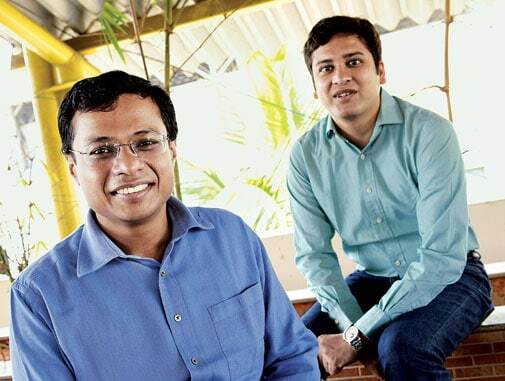 Sachin and Binny Bansal, co-founders of online retailing giant Flipkart, also play angels to other entrepreneurs. Their portfolio includes SpoonJoy, which supplies healthy meal packs, Ather, which wants to make high-speed electric two-wheelers, and News in Shorts, a content outfit. The quartet is not unique by any means. It is raining angels for young entrepreneurs with start-up ideas. Ratan Tata, Chairman Emeritus of Tata Sons, and N.R. Narayana Murthy, co-founder and Chairman Emeritus of Infosys, too, are providing early-stage funding. The Patni family, which pocketed a billion dollars by selling their eponymous computer company to iGate, is also in the game. 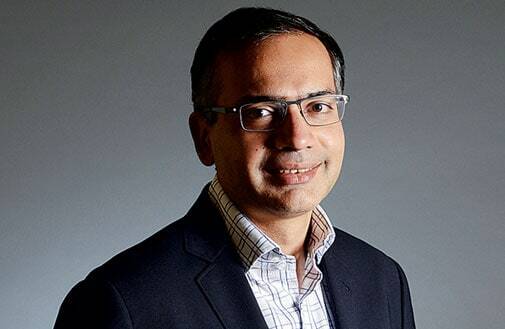 And so are Deep Kalra, founder of MakeMyTrip, and one of the survivors of the first Internet boom, serial entrepreneur Krishnan Ganesh and his wife Meena, and Vishal Gondal, who sold his gaming company Indiagames at a hefty profit to Disney, and now runs GOQii, a wearable technology start-up, along with a few dozen others. India had angels earlier, but till about five years ago, the numbers were small. Getting a commitment from an angel took a lot of time and effort and, considering the relatively small amount of money that finally trickled in, most start-ups weren't very keen to pursue it. Early-stage investors also asked for too large a share of equity in return for small cash. That was why most entrepreneurs bootstrapped their companies to a certain scale before seeking external funds. Over the past couple of years the industry has witnessed two major changes. One, the number of angels and other early-stage investors have shot up. Two, angels now take quick decisions and write larger cheques. "When we started 15 years ago, it was largely through bootstrapping. Funding was in single digits and not in triple digits as it is happening now," says Kalra of MakeMyTrip. In 2007, the Indian Angel Net-work had 60 members. Today they boast of 325 active angels. In early 2013, Mumbai Angels, an association with chapters in Mumbai, Delhi and Bangalore, had 100 members. It has more than doubled to 238 now. Also, there are many who operate on their own. This group of individuals is twice as big or even more than those who are part of any of the formal angel networks. Many operate strictly in the angel and seed funding rounds, while others are, technically speaking, early-stage venture capitalists, putting money in after the first couple of investments have been made. Some invest directly, while others through seed funds that participate in funding rounds. A few keep an active eye on their investee companies, others prefer to give cash and then just sit back. Most new angels have, however, one thing in common: They are successful entrepreneurs, and some still run the companies they started. They might belong to different generations, but a large number of them have been associated with the technology sector. Some, like Narayana Murthy, started in the 1980s and have now retired from active work. Others are part of the group which saw the rise and bust of the original Internet boom of 1999/2000. They are survivors who have continued to build their businesses. This group includes Deep Kalra, Vishal Gondal and Raman Roy, a BPO industry veteran. And then there are the youngsters - having started their own companies barely six or seven years ago. The founders of Flipkart, Snapdeal and RedBus form an elite group which belong to this club. Most are motivated to improve the entrepreneurial ecosystem in the country. "We are seeing a significant trend in terms of entrepreneurs wanting to invest back in start-ups," says Shanti Mohan, founder and CEO of Bangalore-based LetsVenture, which facilitates angel investments in start-ups through its online platform. Last year, LetsVenture, which is backed by as many as 21 angel investors (including InMobi's Naveen Tewari and Eka Software founder Manav Garg, among others), has facilitated Rs 40 crore of funding across 22 deals. It has now launched an event, LetsIgnite, where it expects 200 entrepreneur-turned-angel-investors to participate. Entrepreneurs candidly admit that it has to do with giving back. 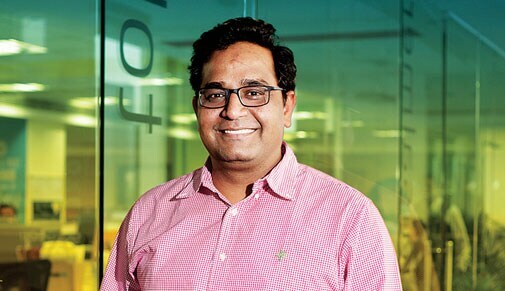 Vijay Shekhar Sharma, 35, who hails from a small town near Aligarh in Uttar Pradesh, was born in a family where having a government job was considered the ultimate goal, and the idea of running a business was frowned upon. He remembers his early days of struggle when he had launched One97, a mobile services company in Noida. It had run into trouble and was finding it difficult to pay back a Rs 15-lakh loan. He was bailed out by a Delhi-based chartered accountant, Piyush Agrawal, who agreed to write a cheque for a 40 per cent stake in the company. Sharma is now an active angel in as many as 20 start-ups. "If I can be a life-changing moment for someone, it will be a great honour for me," he says. In fact, while the older generation of investors mostly turned angels only after their businesses had become profitable or they had sold their companies, the younger lot often writes cheques for start-ups, while they are themselves in the process of raising money from venture capitalists and private equity investors. The Bansals of Flipkart, Bahl and Bansal of Snapdeal, Gondal of GOQii, Mittal of People Group and Zishaan Hayath, founder of test prep venture Toppr, have all turned angels even as they seek investments to grow their operations. They belong to the Internet and e-commerce club, which also include logistics company Delhivery co-founder Sahil Barua and Jabong co-founder Praveen Sinha. Avnish Bajaj, founder of online marketplace Baazee, which was later sold to eBay in 2004, says the one big difference is the money power of current generation of entrepreneurs like Snapdeal, Flipkart, Jabong and Delhivery founders. "I saw my first million when I sold Baazee to eBay in 2004, and it took about three months to sink in," says Bajaj, who set up Matrix Partners in 2006. The second attraction for many new angels - and especially the younger ones - is to remain at the cutting edge of the technology and Internet space. 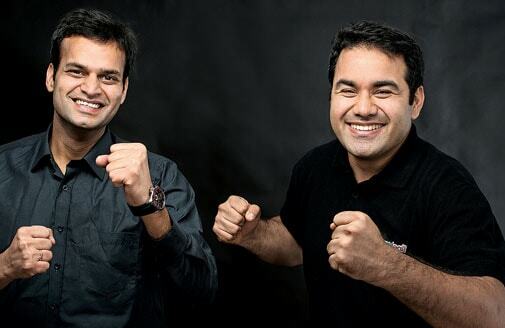 Snapdeal's Bansal says: "A major motivation for us is to stay young and know what is happening in the tech world." Naveen Tewari, founder and CEO of InMobi, one of the biggest success stories in the mobile advertising space, echoes similar sentiments. "We all go to school and then we go to college. We always look back and miss our school or college days. Investing in start-ups answers the 'how do I go back to our school' issue? by solving problems and situations that are very different." "It is also a way to stay connected with the entrepreneur community," points out Sanjay Kamlani, founder of legal outsourcing firm Pangea3, which was acquired by Thomson Reuters for $100 million in 2010. Prior to that, he had founded BPO company OfficeTiger, which was acquired by RR Donnelley in 2006. He currently has 20 companies in his portfolio after exiting two. The older generation of entrepreneur-angels have mostly been more measured in their approach. Nara-yana Murthy, for example, largely invests through his family office, Catamaran Ventures, which has a corpus of Rs 600 crore. He also invests in more conventional assets. The fund makes early-stage start-up investments either directly or through investors in other venture funds. Similarly, the Patni family set up a $40-million dollar fund, Nirvana Ventures, to invest in technology start-ups soon after they sold their company. While the fund usually writes bigger cheques ranging from Rs 2.5 crore to Rs 3 crore, in the last two years, the Patni siblings, sons of the founders of Patni Computers, the late Narendra Patni and his brothers Ashok and Gajendra, have also started vying for opportunities in the angel investing space with smaller amounts of Rs 5 lakh-30 lakh in start-ups largely through angel groups with someone else leading the round. "We enjoy spending time with entrepreneurs, helping them with value and experience. It's not just about capital these days," says Amit Patni, co-founder and Chairman, Nirvana Ventures, and son of Gajen-dra Patni. Ratan Tata, however, is in a league of his own. He is not a first-generation entrepreneur but enjoys the entrepreneurial space. He is also not strictly an angel because many of his personal investments have been in companies that have already raised some institutional money. But he backs entrepreneurs and ideas he likes, with his personal funds. He has invested in Snapdeal, Urban Ladder, Bluestone, Paytm and CarDekho. The younger angels, on the other hand, are both more prolific in their funding and take quicker decisions. 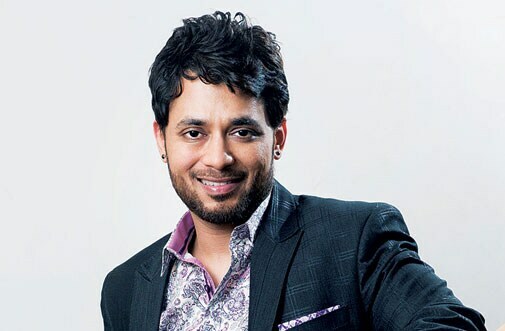 For One97's Sharma, it has never taken more than one meeting to decide on funding a start-up. "I just see a couple of things, the entrepreneur and the fire in the entrepreneur. Whether he is here because it is fashionable or because he wants to build something," says Sharma, who even lends his offices for free to start-ups. Some start-ups that have come out from One97's office are Browntape, Inox and Pokkt. He has also made successful exits with Little Eye Labs and Dexetra. Tewari of InMobi says he likes investing in disruptive ideas - and he often decides and closes a deal in one, or two days at the most. He bet on NestAway, a home rental start-up, and online assessment company Mettl. Both were disruptive ideas for him and his only foray beyond the tech field has been The Bombay Can-teen, a recently-launched restaurant in Mumbai. He has over 20 start-ups in his portfolio currently, but does not consider himself an active angel because of his time constraints. Tewari turned angel in a rather unusual way. A couple of his earliest employees - the first product manager and the first sales manager in InMobi - were putting in their papers to set up a personal finance company called MoneySights. "That was very, very emotional, because you have very deep relationships with early employees. But when they left, we decided to invest about $600,000 in them," he says. "Their (this generation of entrepreneurs) relationships with start-ups are much deeper because they themselves are still fragile businesses, and they still have the start-up blood gushing through," says Prashant Choksey, co-founder, Mumbai Angels. "It also helps start-ups to get the entrepreneur's brand on their venture," he adds. Most agree that there is no secret sauce to finding the perfect start-up. Neither is making money the primary goal - given that start-ups are the riskiest asset class one can invest in. In fact, barring a couple of cases of successful exits, too many investments had to be actually written off. Neither is there a set method followed while investing. Most angels prefer to follow a mixed approach - they write personal cheques if they stumble upon a promising entrepreneur but they also put money into seed funds. Serial entrepreneur Sashi Reddi, who spends his time between Hyderabad and Philadelphia, in the US, made a windfall from the sale of his software company AppLabs to Computer Sciences Corporation for Rs 1,200 crore. Of this, he used Rs 100 crore to set up a fund that has so far invested in about 20 start-ups. The rest of his money is in much safer assets and managed by Avendus Capital in India and Goldman Sachs in the US. Reddi wanted to jumpstart another venture but figured out that backing youngsters with cool ideas was a better option. "At 49, it would be hard for me to understand some of the core tech stuff," he says. "I will offer money and help build a company. That's the opportunity I am totally excited about." Is it possible to become a billionaire by investing in start-ups in India? Not yet. Even the most successful exits have not made much money for their early backers. 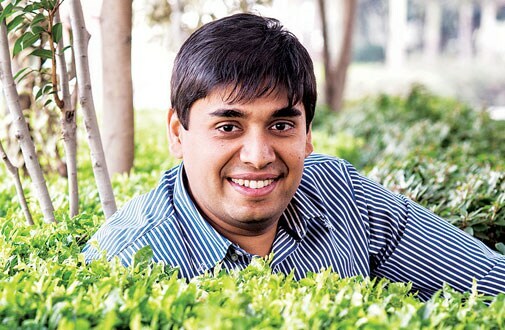 "In India we have not seen a Facebook, which made early investors like Naspers billionaires,"says Anupam Mittal, founder, People Group, is an active angel. "Very few angels in India have made money and the best way to count success is to see their companies raise follow-on funding." Angels usually wait eight to 10 years for an exit - if they have not written off the investment. Typically, 20 per cent of any portfolio will give great returns, 60 per cent will return the capital and the remaining may get written off. "If the ratio is 10, 20, 70 per cent, (respectively), then there is a problem," says Krishnan Ganesh, a serial entrepreneur and an angel to as many as 25 start-ups. Nine of his portfolio companies have already raised fresh funds from VCs. Ganesh has had one successful exit with Little Eye Labs, which was sold to Facebook. However, putting only seed funding in start-ups is not going to win the game for angels. To make money with start-ups in India one needs to be very, very lucky, says Mittal of People Group. He started investing way back in 2007, when he hadn't heard of the term angel investing. Now he has a portfolio of about 45 start-ups. He invests about half his money directly and half through angel networks he is part of. He often takes up a significant stake. The theory of investing big and being a significant shareholder has worked out for him. An early investment in digital advertising company Interactive Avenues, which he exited in 2013 (his first exit), paid off handsomely. The company was picked up by IPG, a global advertising conglomerate. Mittal, who was the largest shareholder in the company, wrote the cheque after a brief meeting with the team at the airport. His typical investment size has been Rs 25 lakh to Rs 50 lakh, but in Interactive Avenues he had pumped in around Rs 4 crore, the highest he has invested in a single company. Since then, he has exited Druva Software and Little Eye Labs to make money in the process. On the other hand, he has had around five write-offs and expects another five to fail. But seven in his portfolio, including OlaCabs, Sapience Analytics and Pretty Secrets, are now worth more than 100 times the investment. While the ticket size of angel investments in India ranges below Rs 50 lakh, some angels are raising the bar on this. They realise that in order to be able to make money with start-ups, it is important to put in a larger pool of capital. Sashi Reddi's model has evolved from investing small cheques in multiple companies for a minority stake to putting in bigger amounts in fewer companies, backing them with more capital in subsequent rounds of funding, getting a board seat and being one of the largest shareholders. "I have figured out that small investments will not make me any money because even if the companies do well and raise follow on funding, my stake will get diluted," says Reddi, who has moved from investing about Rs 20 lakh to upwards of Rs 3 crore. He has a significant stake in six out of the 20 companies in his portfolio. On the other hand, a few others have moved towards investing small amounts across a large number of companies to average out successes and failures. "It's just like the functioning of an insurance company. Enroll a large number of individuals to cover the risk," says Ganesh, who has written off two of his investments. There are still others who are trying out different models. Shravan Shroff, founder and former managing director of Fame Cinemas, supports the idea-stage start-ups through his accelerator Venture-Nursery. Thereafter, he makes investments in eight to 10 companies from his own pocket every year. Infosys co-founders Kris Gopalakrishnan and S.D. Shibulal, too, have embarked on the accelerator-led funding model. The duo has recently launched Axilor Ventures. This is the age of intelligent capital and, Shroff believes, that although venture funds do bring in a lot of knowledge and contacts to start-ups, it's only entrepreneurs who can do the initial drill, since they have been through the same experience themselves. For start-ups, the entrepreneur-level understanding can often mean life and death. "It took only a lunch meeting that happened close to ISKCON Temple in Mumbai for me to get a verbal commitment from Shravan," says 21-year-old Ritesh Agarwal, who runs online accommodation booking venture OYO Rooms. "The speed at which it came and the exact time when I needed the cash was quite amazing." Again, most entrepreneurs will place bets on business areas they know well and have experience in. But there are tangents to this model. Gondal of GOQii stays away from gaming because he knows that there isn't a 'kick element' in gaming anymore. "I like to live in the world of chaos and start-ups are chaotic. Every time you enter a start-up, you enter a new chaos," says Gondal, who has invested in about seven companies so far, the earliest being Shimla-based Instamedia, which he exited in 2013. Some entrepreneurs raise funds after they have proven credentials as an angel investor. 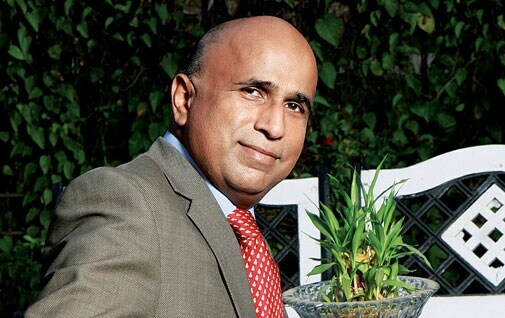 Rehan yar Khan, founder of Flora2000, is one such angel who has invested in about 19 companies. Several of these companies have gone on to raise follow-on funding or have been acquired. Exclusively and Jigsee have been sold to Myntra and Vuclip, respectively, whereas Unbxd, Druva, OlaCabs, and Sapience have raised multiple rounds of capital. Others have stayed away from raising funds for multiple reasons. 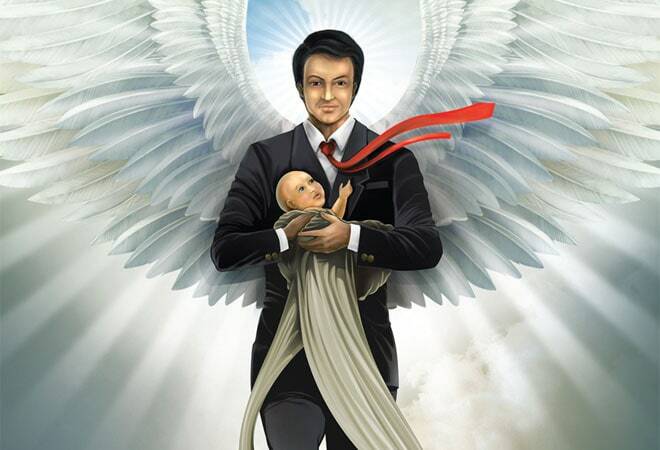 Angels enjoy the freedom and flexibility of being an angel rather than bearing the liabilities of returning the money back to investors in the fund and donning the responsibilities of a fund manager. "Being an angel investor is like having a gambling instinct? enjoying the nasha without intoxification," says Ganesh. Often, angels are edged out in follow-on investments because venture capitalists find it painful to deal with multiple shareholders. However, when the angel is an entrepreneur who is bringing enough value to the enterprise in terms of contacts, helping in hiring talent for the start-up, then the pressure to retain his stake in the company is higher. Ganesh has a piece of advice for all entrepreneurs who are starting out. Start-ups should raise money as early as they can without worrying about valuation. "Sometimes entrepreneurs want to scale first, and raise capital later. But you never know when the markets change and which sector goes out of favour. Then you are stuck for cash," he says. Unlike Gondal, many, including Sharma, have also set up funds to invest in areas they know well. Sharma's One97 Mobility Fund is one such example. It has investments in 16 companies, most of which are similar, in some way, to his original venture. Besides, MakeMyTrip founder Deep Kalra and gaming company Nazara Technologies's Nitish Mittersain have recently set up funds to invest in aligned businesses. Angel investing in India is, however, still at an early stage, believe many investors. "Active angel investing started in India only around 2011," says Alok Mittal, former managing director of venture firm Canaan Partners. He is planning to start his own venture. InMobi, which managed to grab the first cheque from Sasha Mirchandani (from the Mirc Electronics family) in 2007, inspiring the latter to set up Mumbai Angels subsequently, was the first success story for others to look up to. "The only thing we see lagging is the pace of development. Angels waiting for return for 10 years negatively impacts the venture capitalist ecosystem," he says. While there is no incentive, let alone tax exemptions, for angel investors along the lines of those in countries like Singapore, domestic angels actually get penalised for risking their money. Gains from start-up investments are subject to taxation. Start-ups need to pay Angel Tax, which treats the angel investment they recieve as revenue. And, therefore, it falls under the purview of Income Tax. Also, regulation discriminates between foreign and domestic investors. While the former's investments are tax-free, for the latter it is not. Start-ups had high hopes from the finance minister, but Budget 2015/16 did not do anything to reduce the taxes. "Once clarity comes in, it can give a significant boost to the angel ecosystem," says Karthik Ananth, Director, Zinnov Manage-ment Consulting. But entrepreneur-angels remain bullish on start-ups for the next two to five years. "One thing is for sure that we will continue to invest a lot of money," says Mittal of People Group. In some ways, the current Indian angel scene is mimicking that of the US. "One of the major underpinnings for the start-up culture in the US has been entrepreneurs backing entrepreneurs," feels Reddi. But there are differences. One, the entrepreneurial community in the US has made such huge quantum of money that, often, the large cheques they write, to the tune of $2.5 million (which is rare from angels in India), make early-stage venture funds quite insignificant. Entrepreneur-angels grab all big deals, or have invested significant money across smaller deals. For entrepreneurs too, getting a cheque from someone like PayPal founder Peter Thiel, who has backed 80 to 100 start-ups, is thrilling, because it puts them in a special club and the networks he brings are unparalleled. On the other hand, in India, the average angel cheque sizes are about half a million dollars. And, early-stage venture funds, such as Blume Ventures, Kae Capital or Angel Prime, are important to bring in decent money to start-ups. Why is Hyundai shy of taking on Maruti Suzuki?